Hello Friends & Happy November! As we cleaned up from an epic 80’s Prom Halloween Party on Saturday night, we realized just how quickly the year is coming to a close and decided to make the most of it. We’re introducing a few quiet season specials and celebratory events to wrap up 2018, keep reading and mark your calendars! First, we’d like to reiterate we’re open 7 days/week from 12pm - 10pm, closing at 11pm on Friday & Saturday. We’re also taking reservations weekly for our Loft dinners, details here. Planning your office holiday party or get-together with friends? Our space is great for gathering, whether you’re looking for casual drinks & apps or a coursed tasting dinner. Just let us know what you’re looking for and we’ll design an experience unique to you! 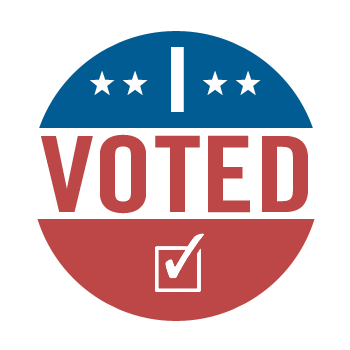 Show us your “I Voted” sticker and receive 25% off your bill. We’ll have the results streaming on the tv all night and will be celebrating our right to vote, regardless of who you voted for. As we find ourselves with more time on our hands to visit with customers this time of year, we also have more time to craft quality, balanced cocktails unique to us. We’ll be introducing a small craft cocktail menu featuring lesser-known liquors that you likely won’t find anywhere else. You likely feasted on Thursday, ate leftovers on Friday, and have had your fill of rolls & stuffing. Join us Saturday night for a 5-course ‘detox’ dinner. Make no mistake, it will be indulgent, think more fresh & flavorful, less tryptophan. We will hold two seatings in The Loft, 6pm & 8:15pm. Tickets are $65/pp and include 5-delicious courses with wine pairings, excludes tax & tip. To reserve your spot we ask for a $25 deposit, you can take care of that here or by calling 269.455.5256. Menu to be posted as the event nears. We’ll be doing something festive & informal, think ugly Christmas sweaters and white elephant games. Stay tuned to Facebook and our website for details! We’ll be holding our popular chef tasting dinners to help say goodbye to 2018 and ring in 2019. Details to come, we will likely have a 6pm seating followed by the 9pm main event featuring more courses, fun games, & a sparkler-filled countdown to the New Year. Stay tuned to Facebook & our website for details, we’ll give advance ticket opportunities to past attendees and our newsletter subscribers. We will be closed from January 1 - January 31, 2019. Reopening February 1.